Cho Lon is situated on the west bank of the Saigon River, from District 5 to District 6. It is founded in 1778 by Chinese minorities who hid themselves from the Tay Son and soon became a great historical and cultural importance destination. The Chinese survivor settled and began selling Chinese products to the locals and Cho Lon was a thriving black market for US soldiers trading in American Army issue supplies. The area nowadays is a popular tourist attraction, especially Taiwanese and Chinese. Itis an interesting place to observe classic Chinese architecture reminiscent of years gone by with many Chinese restaurants. 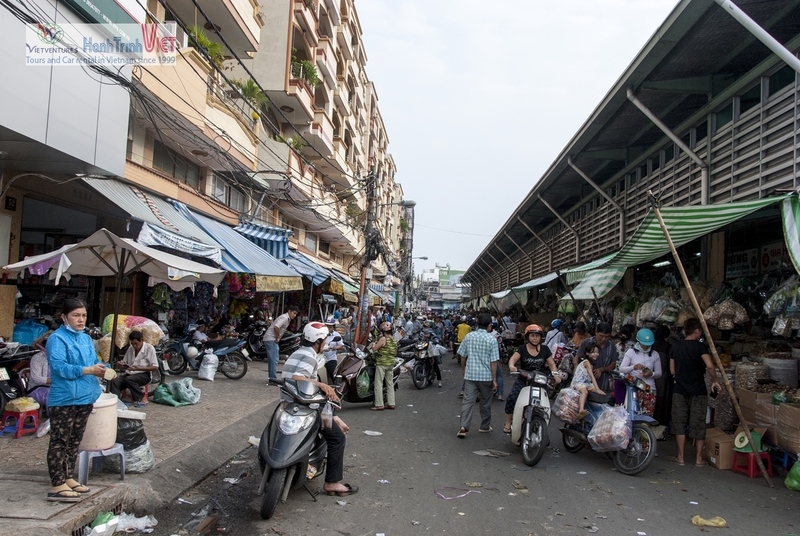 At the center of Cho Lon is Binh Tay Market, which is a busy, crowded and messy with small aisles selling variety of goods. 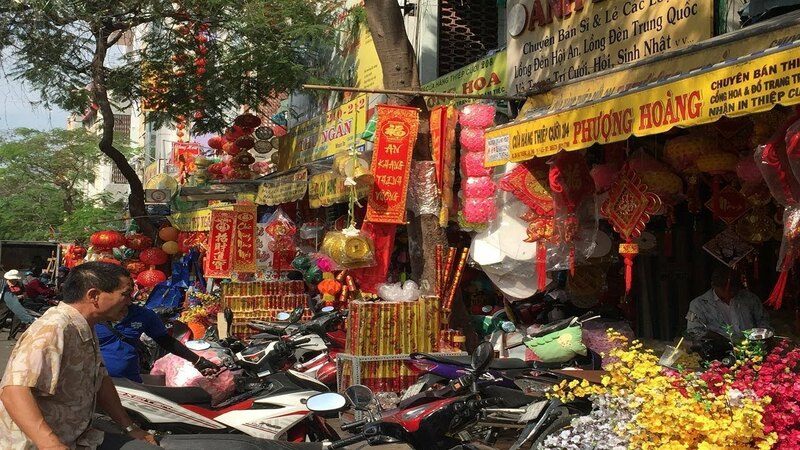 However, you may get disappoints because of the lack of diverseness of products compared to other markets in Ho Chi Minh city. But remember Cho Lon attracts tourists not because of its product, it’s because of the authentic Chinese atmosphere that has existed here for hundreds of years. 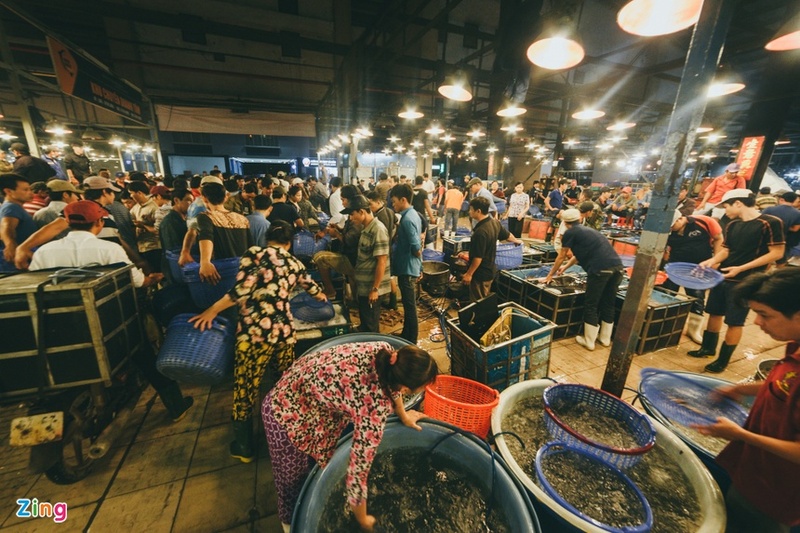 Cho Lon is located on the west bank of the Ho Chi Minh River, mainly over district five. There are plenty of tours available which will take you on a trip round Cho Lon including the more unusual bike tours which will whizz you around the area at night pointing out the sights and where to eat. Keep any bartering light hearted; expect to receive a discount of around 20% and remember to take time out to sample some of the local nuts, fruit and beer on sale. 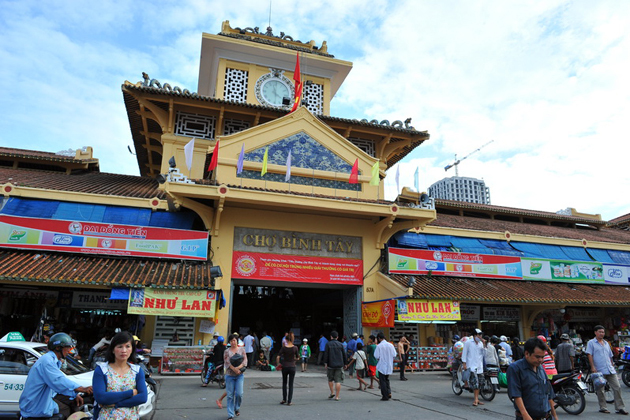 The crowded Binh Tay Market is the major attraction in Chinatown and offers everything you can think of, from fresh produce to Vietnamese goods and especially items with a Chinese flavor.Temples in this area include Thien Hau Temple on Nguyen Trai Street and Quan Am Temple, on Lao Tu Street. Both feature interesting Chinese-Buddhist style architecture and interiors with pagodas, courtyards, altars and paintings. Chinatown is also home to the Cho Lon Mosque on Nguyen Trai Street and Cha Tam, a small Catholic cathedral on Duong Hoc Lac Street. 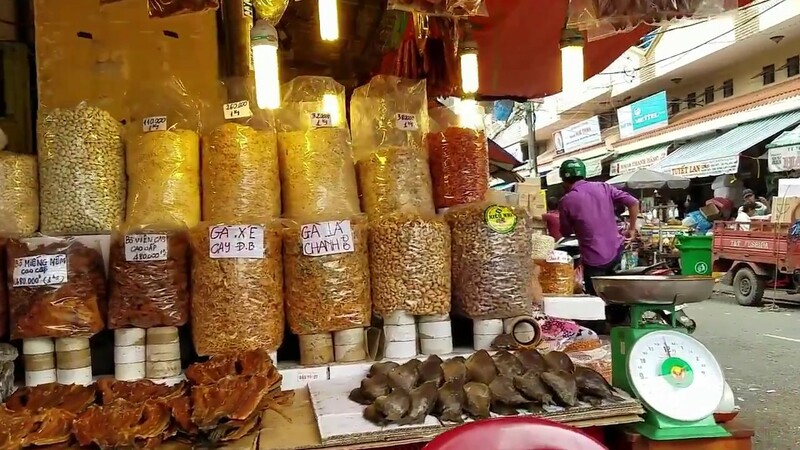 The noodles served in this district have more choices of Chinese style than the usual Vietnamese pho rice noodles while unusual herbs or exotic foods such as dried seahorse and ‘thousand-year-old eggs’ (aka salted duck eggs) can be spotted here and there. Cho Lon ActivitiesThis area has a unique atmosphere and should not be missed; it’s a small town in itself with its own character, very different from other areas of HCMC. Tour around Chinatown by foot or take a traditional cyclo ride to make an interesting day out.